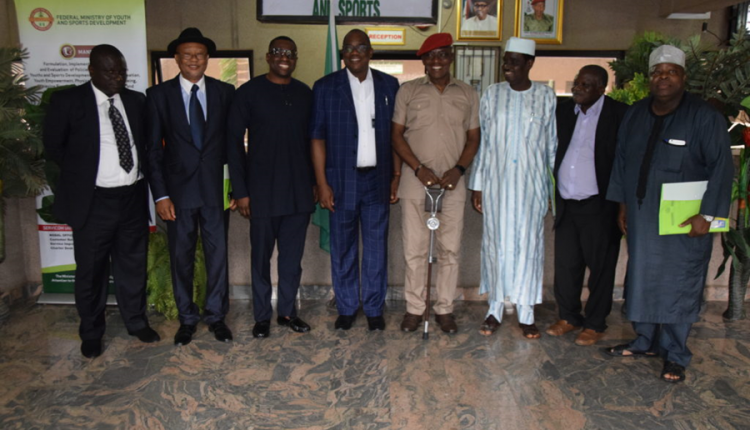 The Minister of Youths and Sports Development, Barrister Solomon Dalung has inaugurated a six-man reconciliation committee to find a lasting solution to the ongoing crisis in the Nigeria Football Federation (NFF). While inaugurating the committee in Abuja on Monday, Dalung disclosed that the committee was a product of a decision taken at the Stakeholders Roundtable on Governance Challenges of the NFF held in July in Abuja. Unless we each put aside our parochial interests and differences, and work towards the common goal of combating the evil plaguing Nigerian football, it will continue its free fall. “This, any responsible government will not allow, hence the need for this committee of distinguished elders.” Dalung concluded. Speaking on behalf of members, the committee chairman, Abdulmumini Aminu, revealed that they would do their best to bring an end to the crisis. Aminu said: “The assignment is a complex one in the sense that whatever position you take, the other side will see you as taking side. “But with the calibre of people on the committee, who are responsible Nigerians and technocrats, I believe we will be able to do a very thorough job for the nation. “We know there is much at stake in this issue, and the integrity of the country is at stake. Also, ‘FIFA hammer’ is by the side, it can knock on us at any moment. Other committee members include former NFF Presidents, Ibrahim Galadima and Anthony Kojo-Williams, Onye Gye-Wado, Sam Sam Jaja and Bolaji Ojo-Oba.